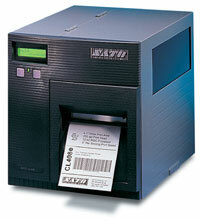 SATO CL408e - Thermal transfer printing, 203 dpi, 4" print width, USB interface, 16MB RAM, 2MB Flash. Includes US power cord. Cables sold separately. The SATO W00409021 is also known as SAT-CL408EU	.